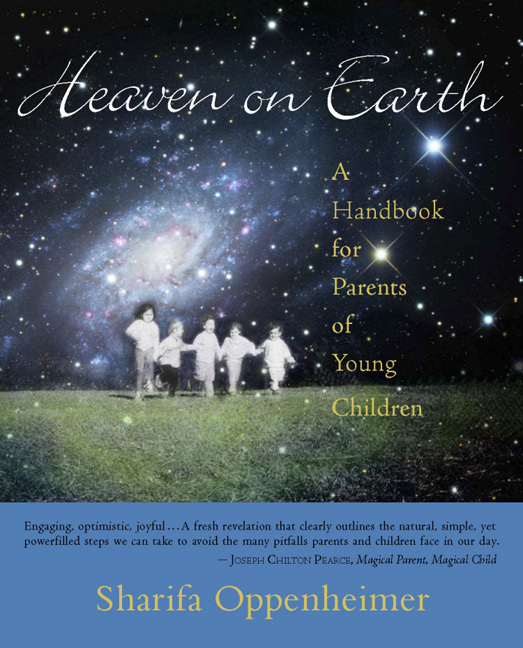 Let Sharifa Oppenheimer help you create Heaven on Earth for your family ! 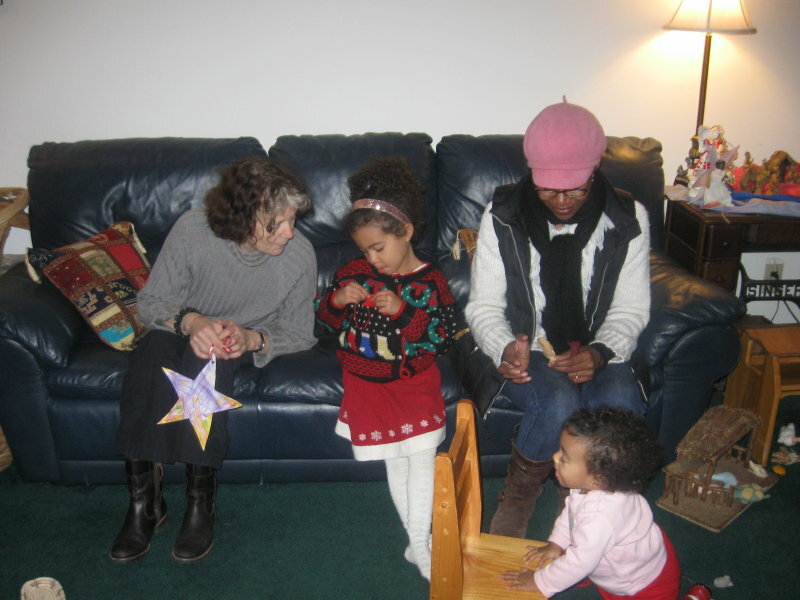 Your Family Culture Can Be a Shining Star! 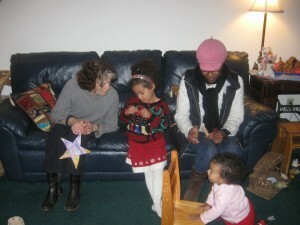 Point One: Family Rhythm ~~ Create daily and weekly rhythms that are simple, slow and nourishing. Slow down and let your whole family b-r-e-a-t-h-e! Set your goal to celebrate yearly festivals in a conscious, non-rushed or media-influenced way. Point Two: Family Work and Family Play ~~ Model for your child work-sharing: show them the “how-tos” in accomplishing the work-load a family requires. Remember: slowly over the years, hand more and more responsibility to them, as they develop more capacity. But don’t forget that families need to Play! Think of weekly play-together days and yearly get-aways for play! 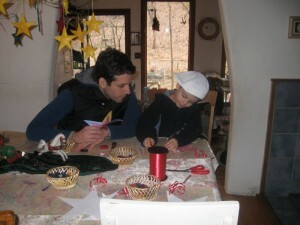 Point Three: Children’s Art and Stories ~~ Give your child plenty of time and space for artistic exploration. No, you don’t need to enroll her in art classes, just make simple open-ended art materials available for her self expression: crayons ( buy 100% organic beeswax Filana crayons! ) paper, watercolor paint, modeling material, scissors, tissue paper, glue; you get the idea? And remember good stories are nourishment for the imagination, just like good food nourishes the body! Point Four: Child’s Play ~~ Be sure your indoor play-space is full of imaginative possibilities. Choose toys and play materials that are open-ended. If the toy “plays itself” or talks to your child, it is not open-ended enough. Think of old-fashioned toys: wooden blocks, simple soft dolls, child sized kitchen toys, dress-ups, wooden wagons and plenty of empty baskets. Empty boxes, as we all know, are the very best! Be sure your outdoor space has plenty of exploratory possibilities! Point Five: Discipline ~~ When all of the above are well taken care of, many discipline problems disappear. What to do when all is in-order and discipline is still needed? The watchwords here are Firm and Kind! Use simple non-emotional statements. Breathe slowly, settle into your heart-space, speak slowly. Allow yourself to “slip inside your child’s skin”, to understand the situation from their point of view. With this insight, firmly and kindly insist. You can do this, and you will love it! Next weekend I will be in North Carolina for this wonderful conference. Join us there! Through play in the natural world, we give our child the gift of freedom, tethered by and rooted in a deep visceral relationship. Is that not the fundamental balance humanity strives for? Such joy! The single best gift a parent can give their children is to be attuned to them, to know what it feels like inside their skin, and to respond interactively from this “knowing.” The only way the child can learn to know who they are is by having been “known” in this way by a parent. The only way a child can “see themselves” is by looking into the mirror of the parents’ heart, and see themselves reflected back. The greatest gift we can give our child is to carry this question in our hearts: “who is this soul, and who will they grow to become?” We carry this question with open wonder, attuning to them and helping to inform their human experience. Eventually as a young adult they can begin to carry this very most human question by themselves “Who am I?” By your loving presence, you help to shape the answer. Our family is the container, the safe space in which young souls are cultivated. They grow in this atmosphere, with the mixture of necessary elements. When they know themselves well enough, they step outside the family, into the strong wind of their own life. Join Sharifa Oppenheimer this summer!